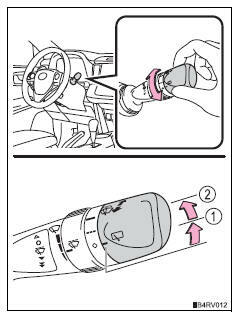 Turning the end of the lever turns on the rear window wiper, and pushing the lever away from you turns on the rear window wiper and washer. 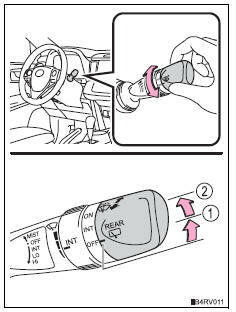 Check that the washer nozzle is not blocked if there is washer fluid in the washer fluid reservoir. 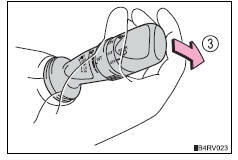 Do not use the wiper, as it may damage the rear window.